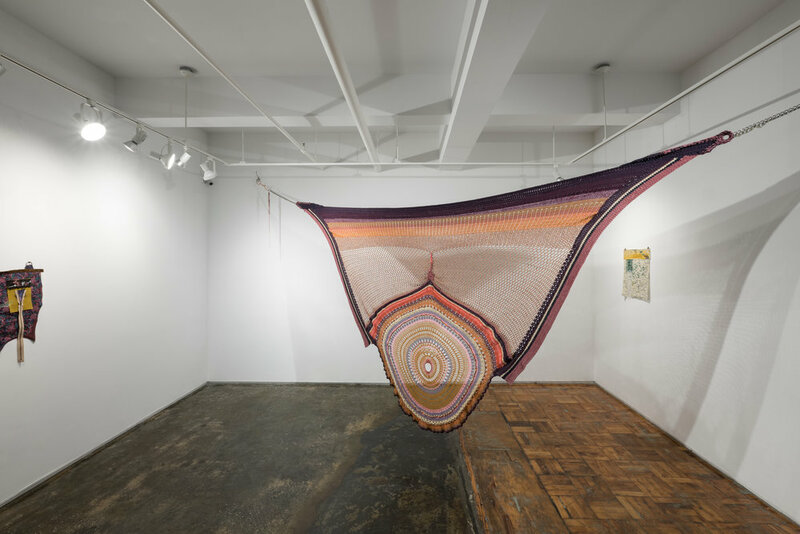 Fellowship Artist Daniela Puliti utilizes fabric, yarn, glitter, and other found objects related to craft and domesticity. 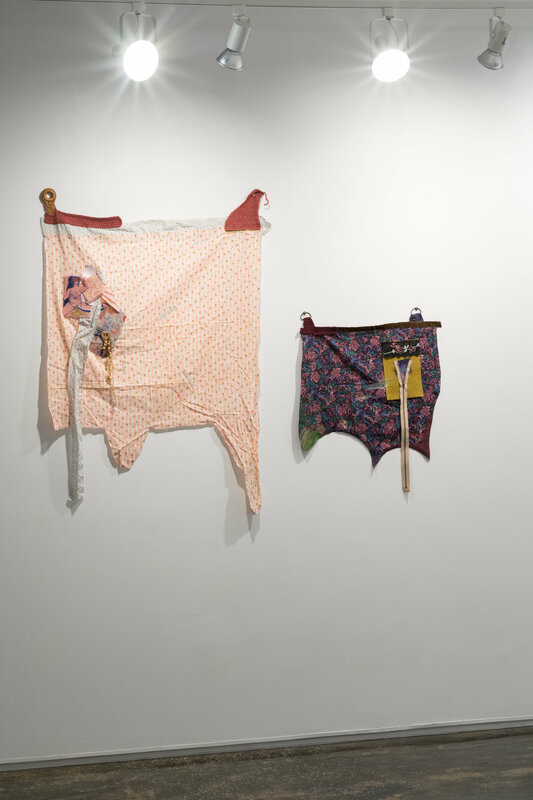 The works in this show address the ways in which the artist was silenced, from the deeply personal assaults on their voice, to the overarching patriarchal nature of their community. The exhibition What the Lips Can’t Say is an alternate means of breaking free of that prison through the coded language of color, pattern, and texture. Sunday, February 18th, 1 - 3 PM: Coping Through Craft: An introduction to crochet as one method of emotional survival. Participants will learn the difference between knitting, crochet, and loom weaving followed by a hands on granny square crochet workshop.